I have yet to fly AA’s “new” (not so new any more) first class and need to do that this year. American is the last U.S. carrier that offers a true first class product. WestJet has introduced a new business class cabin and will begin transatlantic service. I look forward to giving the carrier a try. Speaking of Canadian carriers, I still have not given Air Canada a shot in nearly a decade. It’s time to fly Air Canada again. Before Chase Ultimate Rewards severed its partnership with Korean Airlines, I transferred over sufficient miles for a first class trip to Asia. Ideally, I’d like to fly both the 747-8 (Kosmo Suites 2.0) and A380 (Kosmo Suites) on a single 80K ticket. Any suggestions? I don’t have any grand illusions about he onboard product, but do want to visit Algeria and fly the flag carrier. While there, I should probably fly in on direction on the Tunis Air A330 in business class. It’s been too long since I have been to Australia and I am ready to return. When I do, I want to go at least one-way on Virgin Australia, a carrier I have never flown. Air Italy will start service to Los Angeles and San Francisco. I greatly look forward to flying this airline. TAP’s new service to SFO begins in late March and I plan to check out the A330neo later in the year. 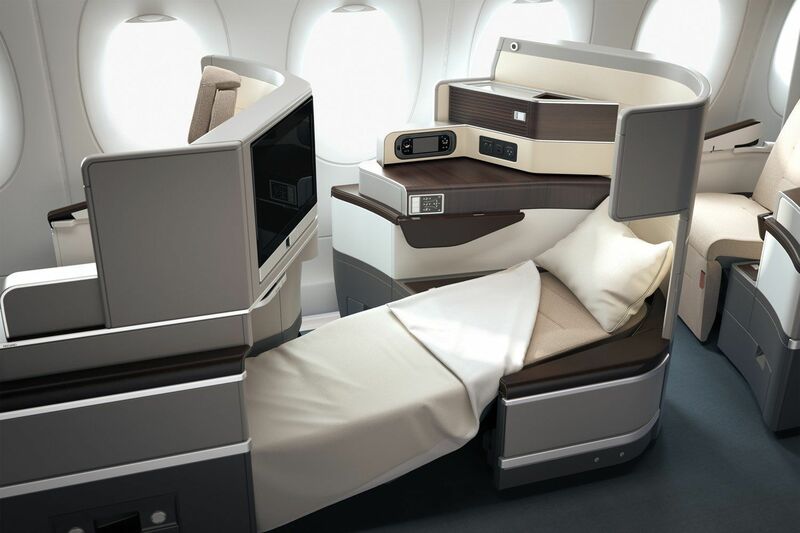 Singapore Airlines saver mileage space onboard the A380 outfitted with new suites is quite limited. But I’ll be patient and flexible and hope to find a date that works. It’s not so much that I am looking forward to the fur-covered menus or non-lie-flat recliners as much as I am looking forward to visiting Greenland, my #1 top destination in 2019. That said, I really look forward to checking this carrier out. This year I hope to check off more carriers from my list above than in 2018. What carriers/products do you hope to fly in 2019? Previous Article Is Qatar Airways Plotting To Take Over Oneworld? Next Article Do You Sign Your Credit Card? Best wishes for safe landings. On RTW18 I flew 1st Class Korean B747-8i JFK-ICN the A380 ICN-SYD. Had time to train into the city and sightsee during the layover plus you will get new Terminal. I’ve got LH F on the 747-8i, KE F on the 747-8i, and NH F on the 777, along with NZ Y+ on the 777 already booked. I’m hoping to squeeze in F on AA’s A321T, but that might get punted (again). I’m probably anticipating LH F the most, mainly as I’m really curious just how good the ground experience at FRA will be. And I want that rubber duck. As far as combining the 747-8i and A380 in one award, doesn’t KE fly the A380 ICN-TPE? Maybe try ATL-ICN-TPE? You are right. ICN-TPE is a great catch! I just may do exactly that schedule. Have you booked your ticket yet? I did the KE 380 and 747-8 combo out of LAX, LAX-ICN on the 380 and ICN-HKG on a 747-8. Two great flights and on the long leg there was only one other passenger in F.
I just did PVG to SIN. Easiest way to find A380 SQ availability in F. I was the only person in the entire F cabin. That was the new F suites? I flew AA DFW-ICN a few years ago that had some very tired Captain Kirk seats that swiveled. They were pretty run down then, Has AA introduced a new first class seat that swivels? The seat still swivels, but this is different than the old swivel seat. The only way I’ll book it is if AA releases saver space. Re: KE | Last year I did HKG-ICN on the 748 and then on to LAX on the A380 for 80K in F. Both flights were really great but due to enhanced security for US-bound flights I got questioned for 25 minutes and had no time to see the new lounge @ICN. Re: AA | My only bad (international) flight with American was in F on the flight between DFW and LHR (return in J was excellent, though). Huge stains everywhere and the cabin smelled like sour milk. Flight crew was not proactive or friendly, either. It was also the time they were changing over to Casper products but this flight had the old products and no PJs. I checked HKG-ICN and idd not see the 747-8 operating. Seems they sub it in and out. Westjet has been flying transatlantic service for a while now, although the 787 service with the reverse herringbone seats will be new. Hitherto, they’ve been flying 767s with recliner style “club class” seats at the front. I believe Air Greenland only flies its A330 from CPH to Greenland. Maybe a SAS Business Class review as well? When tap first announced fights to Ord there were tons of business seats available. Five or more per flight. Now there seem to be none. Did they get taken or are they blacked out? I haven’t checked San Fran. 2019 is a good year for Americans to contemplate a visit to Australia….the exchange rate is very favourable, having gone from 1.28 to .70 AUD/USD between 2012 and today, making Australia’s notoriously expensive hotels and restaurants a bit more reasonable. For your future possible trip to Bhutan, try Druk Business class! Did you ever find out more information on the Air Algerie A330? I’m looking at ways to get to Tunis in June, and this could be a fun route….curious how the hard product is.